If you have bought a InnoTab MAX, why don’t try to transfer some kids’ favorite movies to VTech InnoTab Max? And in this way your children can watch their favorite movies anytime anywhere. For common children’s film, you can directly transfer them onto VTech InnoTab Max for playback; but for the kids’movies from Blu-ray discs, DVDs, downloaded from iTunes, we may have to take a small bending. As is know to all, the Blu-rays, DVDs can not playback on InnoTab MAX directly. And movies from iTunes are always be protected by DRM and are prevented from copying, transferring and being played on the unauthorized PCs or other video playback devices. 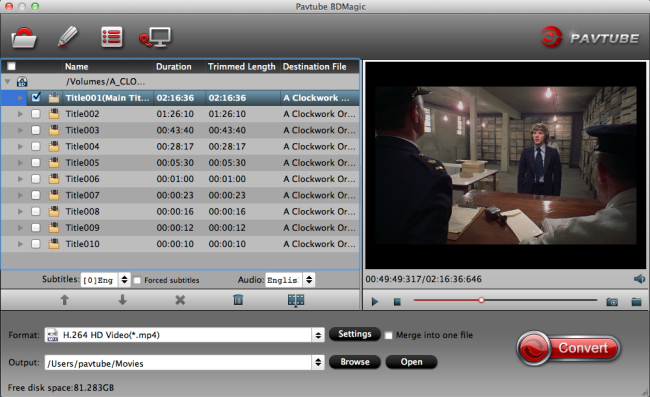 Here Pavtube BDMagic for Mac, designed to convert Blu-ray/DVD sources or movies from iTunes to the best suitable format for InnoTab MAX. Below is the simple guide of converting Blu-rays, DVDs, DRM-protected or iTunes movies to VTech InnoTab Max for kids with Pavtube BDMagic and ChewTune for Mac. Step 2: Load the Blu-ray movies to the program with BD drive. Step 3: Choose the output format. Click “Common Video” > ” H.264 Video (*.mp4)” as the output format. Step 4: Click the “Convert” button to start the Blu-ray to VTech InnoTab Max kid tablet conversion. Step 5: Connect your VTech InnoTab Max to your Mac and move the file over to the MOVIE folder located in the LLN folder on your VTech InnoTab Max memeorycard. Once completed, just open the build-in video player app on your VTech InnoTab Max, and tap the movie to play it. Step 1: Click “Load file”button to import your DVD movies to the BDMagic for Mac. P.S. Pavtube BDMagic for Mac can do with all kinds of DVD sources: protected and unprotected DVD Disc, DVD folder, DVD ISO and IFO file. 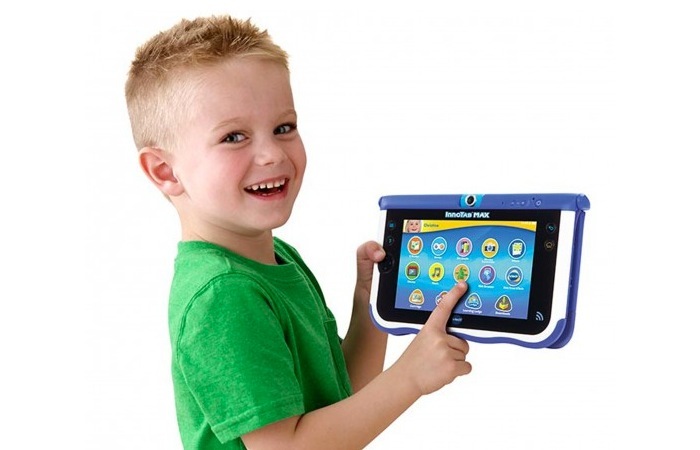 Step 2: Press the “Format” button and select the output format for VTech InnoTab Max. Click the Format option, and choose H.264 Video(*.mp4) from “Common Video” option, meanwhile don’t forget select the destination folder to saved the converted video. Step 3: After everything is OK, click the big “Convert”button to start ripping DVDs to VTech InnoTab Max supported MP4 videos. The iTunes to the DRM protection which will lock you for playback directly, so you need to consider how to remove the DRM protection from these videos to unprotected mp4 files so as to play on InnoTab Max easily. 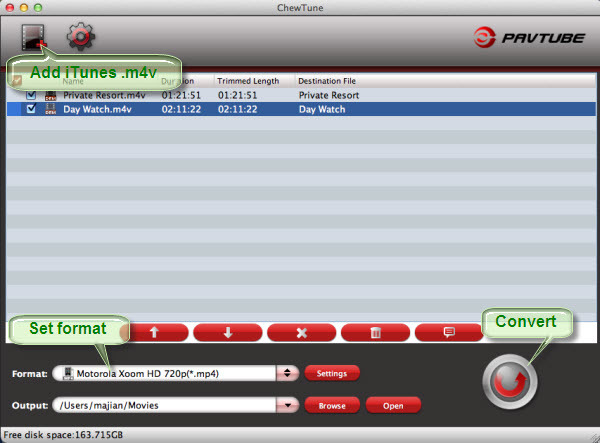 Here Pavtube ChewTune for Mac is perfect tool to legally recording and downloading iTunes purchased videos or Removing DRM videos download from iTunes for playback with InnoTab Max. We hope this guide can help you and with pavtube’s software you can enable the movies of Blu-rays, DVDs, iTunes movies for children enjoyment on VTech InnoTab MAX.